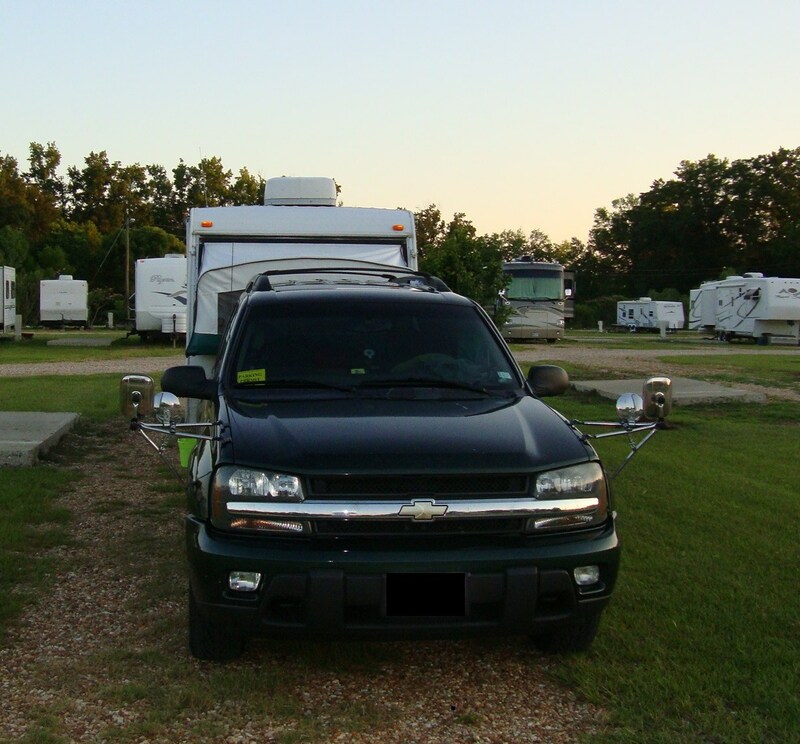 A good set of towing mirrors is one of the most important accessories you can purchase for your travel trailer. They increase your field of vision, allowing you to see more of what is behind you and your trailer, and give you more necessary information when changing lanes or backing into a campsite. Most trailering accidents are attributed to blind spots in the driver's line of vision. 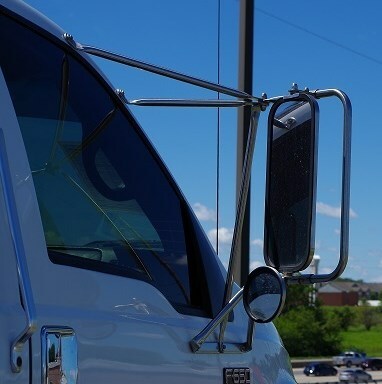 Although trailer towing mirrors will not eliminate all blind spots (ask any trucker), they minimize the amount and reduce your chances of a trailering accident. In the trailering world, bigger is better when it comes to your mirrors. Standard side view mirrors limit your field of vision due to their smaller size. Under normal driving conditions they are adequate, but when it comes to towing a trailer most fall short. When towing a trailer of any size, being able to see the rear of your trailer and beyond is crucial to your safety and the safety of others. If your mirrors are not large enough, or are blocked by your trailer, the chances that you could end up in a serious accident is greatly increased. If you are towing a popup or smaller trailer, a trailer towing mirror may not be necessary. But as the length and width of your trailer increases, larger mirrors with longer extension become a necessity. The only thing is, without mirrors for a smaller trailer, you may have problems seeing your trailer behind you. This also depends on the size of your vehicle you are towing with. Melissa's parents own a popup, and from there experience in towing, Dad cannot see the trailer behind him and it makes it more difficult for him to tow. No matter what you are towing, a good pair of hot spot, or wide angle convex mirrors would be a worthwhile investment. These mirrors are relatively inexpensive and can be picked up at you local auto parts store , Walmart, or Camping World. When it comes to towing mirrors there are plenty of choices. 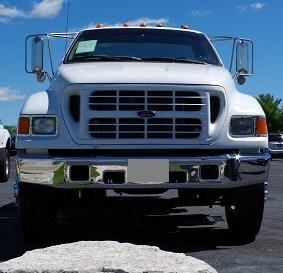 Your choice in towing mirrors should be made by assessing several factors such as price, amount of towing you do, where you live, your vehicle, and personal preference. You can purchase mirrors that clamp to your fender, attach to your driving mirror, strap to your door, or telescoping mirrors that permanently replace your driving mirror. We now own three different types, and have replaced the mirrors on our truck. Fender mount mirrors were very popular in the 1970's and early 1980's when passenger cars were still large and heavy enough to tow with. As these cars began to fade in popularity. They are still made today and are as good of an investment as ever. We used them when we were towing with our Trail Blazer and had no problem seeing what was behind us. We purchased Cipa brand fender mount and four inch clamp on convex mirrors from Streetsideauto.com. We found them easy to work with and our mirrors were delivered in a timely fashion. One thing to know, these mirrors do shake, but are a better choice than your original installed mirrors on your vehilce. Mirrors that attach to your side view mirror come in two styles. One that completely fits over the back of your mirror and bolts in place and ones that clamp on and are held by two straps. These are a relatively inexpensive way to increase the amount of sight distance behind your trailer and can be purchased at Camping World and other retailers. 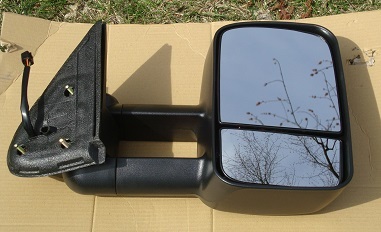 Door strap mirrors have a frame just like the fender mount, but attach to the window channel of your door and have a strap that attaches to the bottom of your door. This is also inexpensive like the attachment styles, but gives you the ability to add larger convex mirrors on the set, which helps eliminate most of your blind spots. Probably the most expensive mirror would be the permanent telescoping replacement trailer towing mirrors. Most of these are made as OEM replacements for your vehicle. They can be manual or power adjustment, heated, and with turning lamps. Some manufacturers recommend professional installation. The best benefit to these are that there is little to no road vibration on these mirrors, unlike the temporary ones. 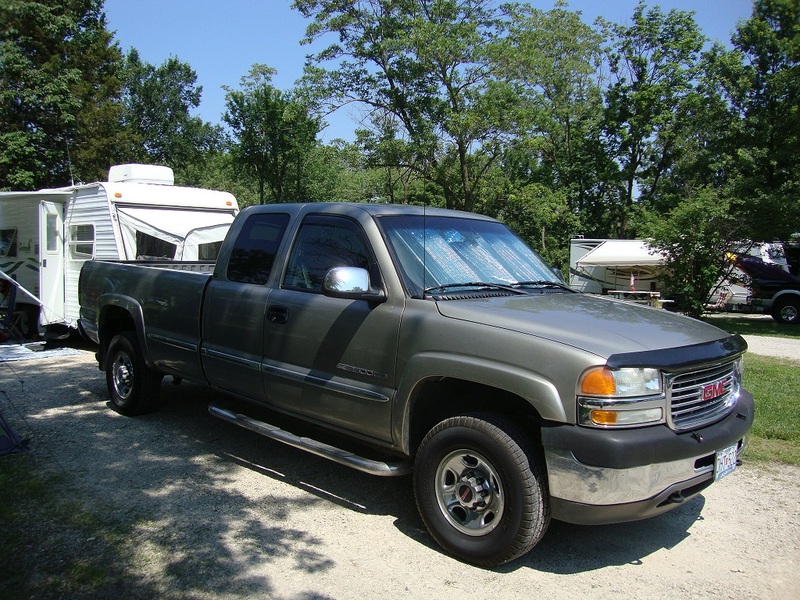 Today many towing package options include trailering mirrors as a part of the group. If you are planning on purchasing a new tow vehicle, I would strongly recommend adding this option. The extra money spent will more than be recouped in the added safety benefits that you will have. 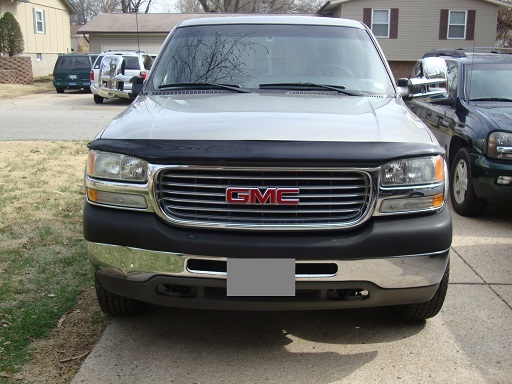 I recently replaced the side view mirrors on our pickup truck with O.E.M. style trailer towing mirrors. I purchased them from BestInAuto.com. Their prices were very reasonable and their service was wonderful. I recommend checking them out, if you are thinking of upgrading like I did. I love chrome on my trucks, I think it makes them look better. I also purchased chrome covers from DeluxeAutoMall.com. I have the same recommendation for them. Installing the mirrors on our truck was a breeze. GM has one cover to pop on each door, which provides access to the mirror mounts and electrical connection. I was able to change both mirrors in less than 45 minutes and that included stopping to take pictures. The first camping trip we took with the new mirrors confirmed what we all ready knew, the money we spent on them was well worth it. One minor issue, or garage was smaller than our truck. So we had to push them in each time we took the truck out. Funny, but still well worth the investment!! Personally, when it comes to a truck type vehicle, I prefer a larger mirror. I learned to use mirrors to back when I was 16 and the family van had west coat mirrors on it. West coast mirrors are a full length mirror that extends from the top of your side window to the bottom. I loved them, there was nothing I couldn't see. My father also installed a set of large adjustable round convex mirror on the framing, which doubled what I could see. However, as good as these mirrors are they still do have a major drawback. As you can see in the picture below, they stick way out and can be broken very easily, cause blind spots, and cause property damage to other vehicles. West coast mirrors provide the best rear vision, but do have their draw backs. With today's technological advances, electronic devices have become a large part of our everyday life. 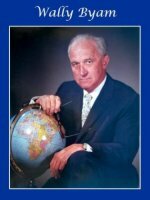 In many ways they have made our lives more convenient and safer. Rear and side view cameras for towing are no exception. These devices further help eliminate blind spots that regular towing mirrors cannot pick up. Most rear view cameras activate when your vehicle is in reverse, and the side views when the appropriate turn signal is activated. There are a couple drawbacks that I see. 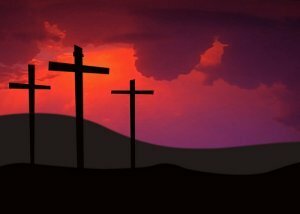 The first being the cost to purchase. A good quality backup camera can cost over $800, as opposed to a pair of permanent towing mirrors that cost around $400. The second draw back is that most of these have a small screen mounted on your dashboard or windshield. If you are focusing on the screen it is possible to miss a hazard in front of you. Despite the couple drawbacks mentioned, I still believe adding a backup camera and side view are good investments to further enhance your safety when towing.